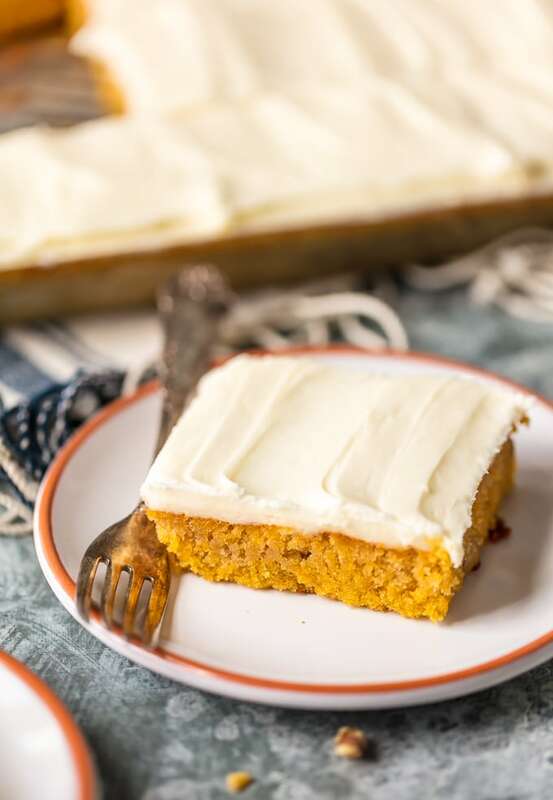 This CARROT CAKE BARS RECIPE has a secret ingredient, carrot baby food! 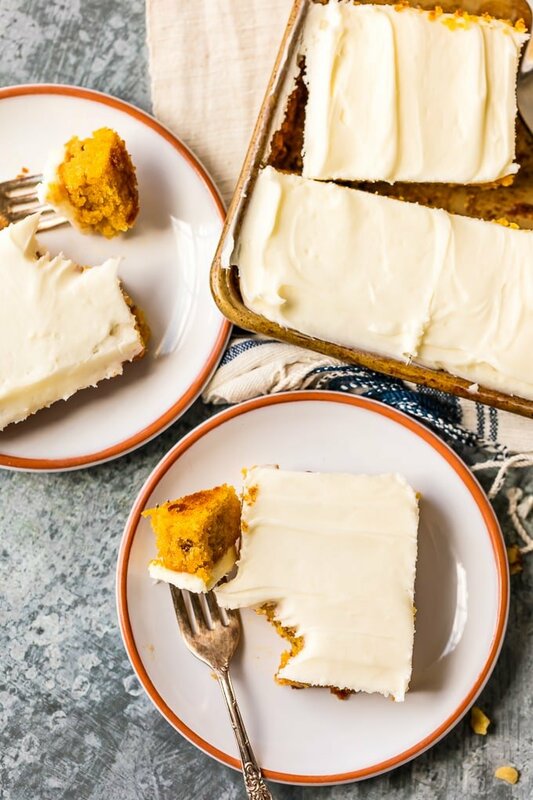 You’ll never believe how moist, simple, and delicious this EASY Carrot Cake can be. Try not to eat all the perfect cream cheese icing before piling it on and serving to your Easter guests. 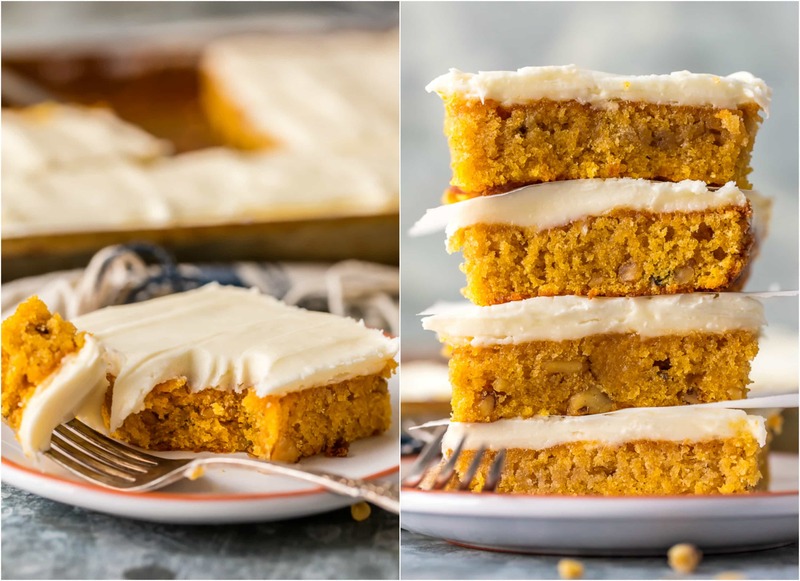 Best Carrot Cake Recipe ever! 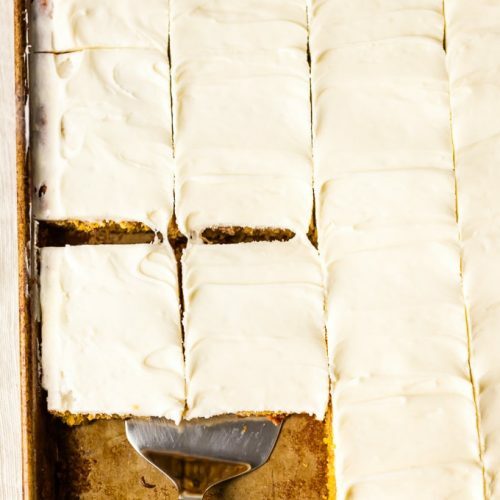 This Easy Carrot Cake Bars Recipe is EVERYTHING! 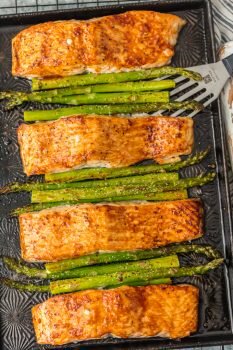 I love a good sheet pan recipe and this is no exception. This Carrot Cake with Cream Cheese Icing is OH SO MOIST because of Carrot Baby Food…weird right? You’ll have to trust me that it is a-mazing. I’m never looking back. These will be on our Easter table for years to come! Every Easter dessert table needs Carrot Cake. I can’t imagine ours without it. BUT…you guys know me. I’m always looking for the easiest option to get the bellies full. These Secret Ingredient Carrot Cake Bars are legit my favorite I’ve ever tasted and BONUS they’re super simple. I loaded our Carrot Cake Bars with chopped walnuts and cream cheese icing. I simply cannot get enough. 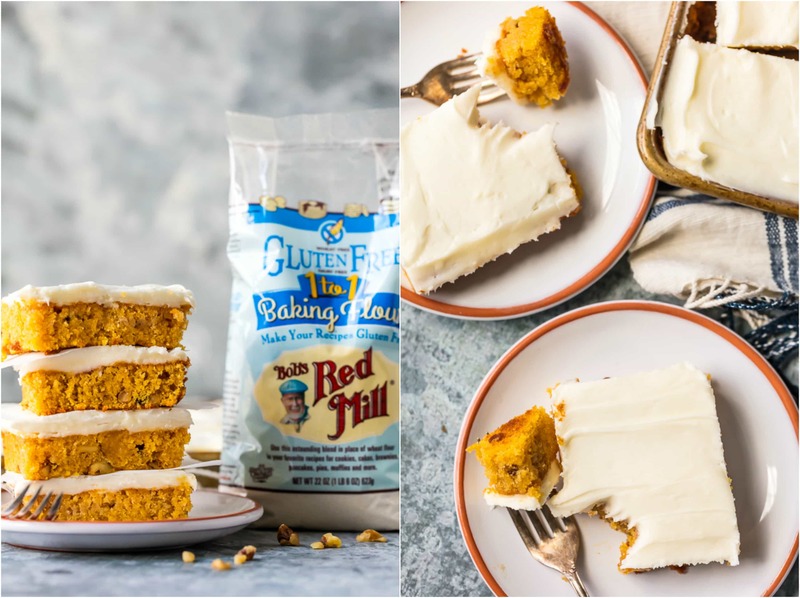 I made these Carrot Cake Bars GLUTEN FREE as well by using my go-to baking staple, Bob’s Red Mill Gluten Free 1:1 Baking Flour! 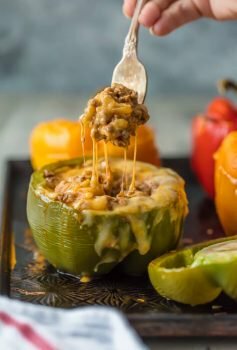 I’m obsessed because you don’t have to change a recipe at all to make it work for your family. Such a quality ingredient. If you prefer regular all purpose flour, Bob’s also has that. I go back and forth as to which is my favorite! You can’t go wrong. Don’t you love a recipe that you can customize? Add in those walnuts, raisins, or whatever else you think your carrot cake bars are in dire need. Carrot shreds? Sure! I was just too lazy. Let’s be honest! 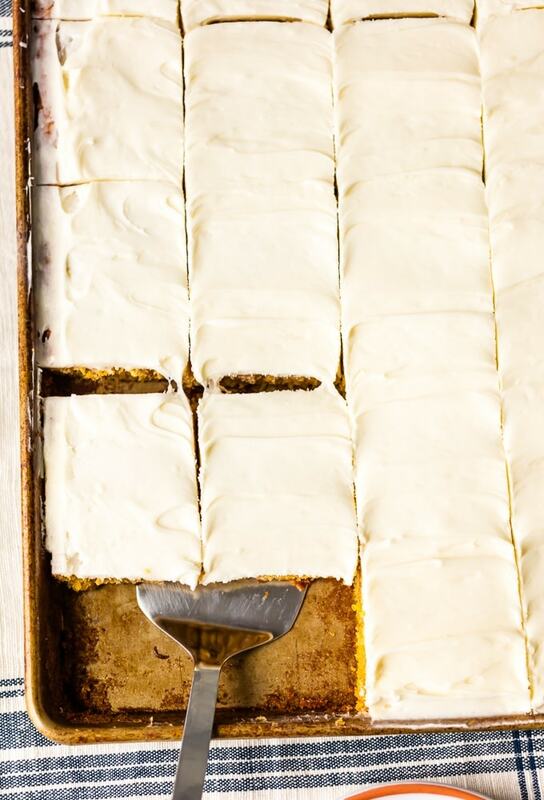 These Homemade Carrot Cake Bars have a secret ingredient, carrot baby food! Don’t be grossed out. Look at the ingredients and you’ll see carrot baby food is simply CARROTS, and WATER. Nothing gross at all! 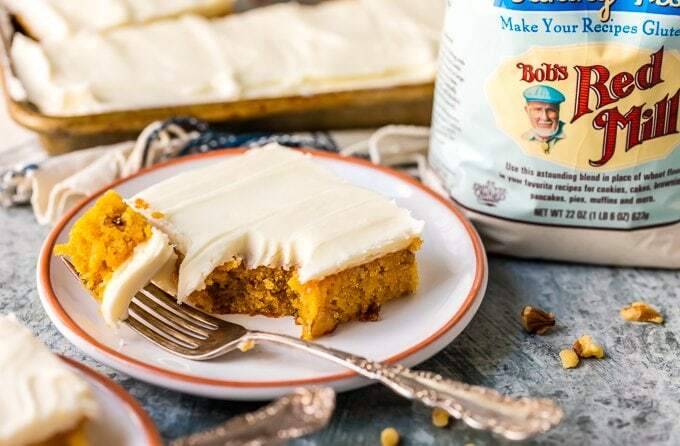 They make this Carrot Sheet Cake extra moist and amazing. And easy. And that’s never a bad thing! Would you consider Carrot Cake Bars healthy?! Well maybe…..before I piled on the cream cheese frosting. Listen…I used low fat cream cheese. What more can you ask for? What would Carrot Cake be without the cream cheese icing. I can’t even fathom it. 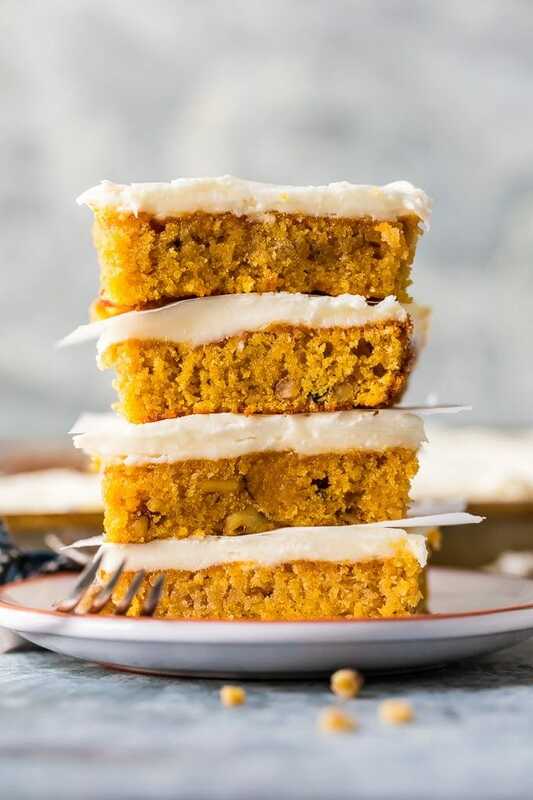 Be sure to pair this Carrot Cake Bars Recipe with some of our favorite Easter recipes such as Instant Pot Honey Baked Ham (SO MUCH YES) and Poppy Seed Waldorf Salad. The ultimate Easter feast is much easier than you ever thought! We have so many great Dessert Recipes that I want you to try, including Easy Peach Cobbler, French Silk Pie, and Strawberry Cake Mix Cookies. You can find all of our favorite Easter Recipes and plan your ultimate holiday menu. These Carrot Cake Bars are always on our Easter Table, along with the Ham and the Pretzel Salad. Watch How to Make Carrot Cake Bars or see the recipe card below for full details. Enjoy! In a large mixing bowl, beat eggs and oil for 2 minutes. Combine the flour, sugar, cinnamon, baking powder, baking soda and salt; add to egg mixture. Add baby food and applesauce; mix well. Stir in walnuts. Bake at 350° for 20-25 minutes or until a toothpick inserted near the center comes out clean. Allow to cool. How much regular flour do you use….? 2 cups? Yep! The great thing with the Bobs Red Mill flour is it’s 1:1. So you could sub it in baking to make any recipe gluten free (as long as the other ingredients were as well) and vice versa. Hope you enjoy! I have made these for years and it is always a family favorite but we weren’t crazy about how heavy the oil makes them – substitute apple cinnamon apple sauce for the oil and taste the same but much lighter.